Here are some tricky google hacks to make your search more interesting and fun oriented. This is a neat trick you can use on a Google Image search to filter the search results so that they include only images of people. How is this useful? Well, it could come in handy if you are looking for images of the prominent people behind popular products, companies, or geographic locations. You can perform this search by appending the code &imgtype=face to the end of the URL address after you perform a standard Google Image search. If you are on the hunt for free desktop wallpaper, stock images, WordPress templates or the like, using Google to search your favorite social media sites is your best bet. The word “free” in any standard search query immediately attracts spam. Why wade through potential spam in standard search results when numerous social media sites have an active community of users who have already ranked and reviewed the specific free items that interest you. All you have to do is direct Google to search through each of these individual social media sites, and bingo… you find quality content ranked by hundreds of other people. 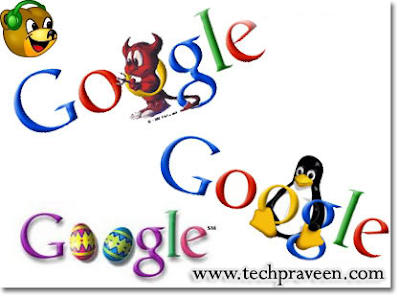 Google can be used to conduct a search for almost any file type, including Mp3s, PDFs, and videos. Open web directories are one of the easiest places to quickly find an endless quantity of freely downloadable files. This is an oldie, but it’s a goodie! Why thousands of webmasters incessantly fail to secure their web severs will continue to boggle our minds. Sometimes you can get a better idea of the content located within a website by reading how other websites refer to that site’s content. The allinanchor: Google search operator can save you large quantities of time when a normal textual based search query fails to fetch the information you desire. It conducts a search based on keywords used strictly in the anchor text, or linking text, of third party sites that link to the web pages returned by the search query. In other words, this operator filters your search results in a way such that Google ignores the title and content of the returned web pages, but instead bases the search relevance on the keywords that other sites use to reference the results. It can add a whole new dimension of variety to your search results. Find out what a site is all about by looking at a random selection of the images hosted on its web pages. Even if you are somewhat familiar with the target site’s content, this can be an entertaining little exercise. You will almost surely find something you didn’t expect to see. All you have to do is use Google’s site: operator to target a domain in an image search. I found your website through search engine. Really I like your website content. your post is very helpful for everyone.. thanks sir for sharing this post with everyone. Excellent post! Really i like your content thanks for share with everyone.